Conversations: Learning and Growing: Mistakes Are Welcome! Less than two weeks into our Lego Mindstorm Rover projects and I couldn't be more proud and excited for my young scientists! Looking around the room, there is such energy and focus. You would think with as many different activities going on my students would be the most distracted people on the planet, but the intense focus is very cool! So, students are working on their iPads to watch and create videos, post and respond in Edmodo, read and listen to our textbook (I have the audio files in Dropbox app for students to access. ), answer review questions from a packet AND working on either building the rover, designing the surface and challenges for the rover, or learning the programming for the rover. 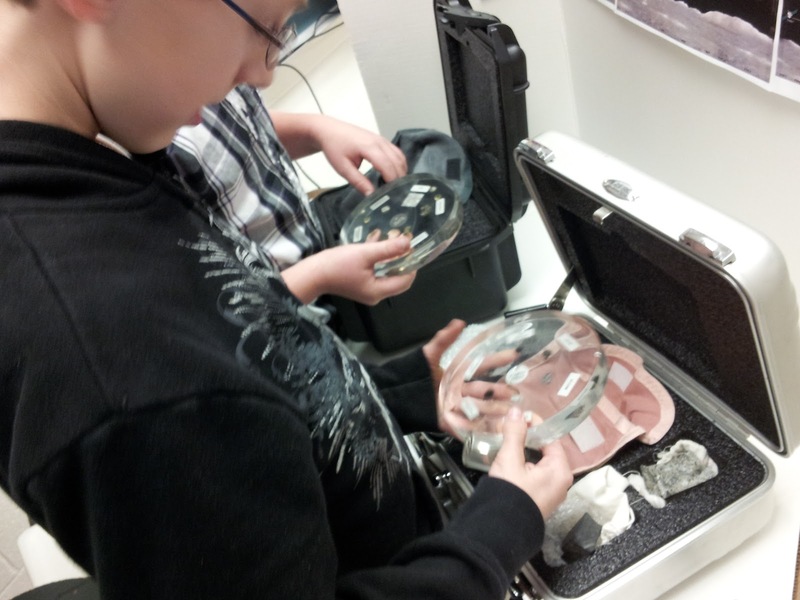 OH...and our lunar and meteorite samples from NASA have arrived for exploration! Yes...we are quite busy! But, it is SUPER awesome! Also...each class has their own media crew. Either a single person or partner group is working to build a "promotional video" for NASA showcasing their rover, it's mission, and the students working. These media specialists are using their iPads to create iMovies from the pictures and video clips they are gathering. I expect to have an entire blog post on that process with their videos linked! 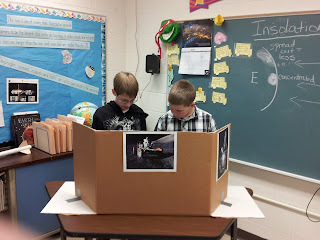 The students are helping to support each other in the reading, writing, technology, and problem solving areas. The success of their rover is so important to them that they are working so hard. "It's ok if we don't get it right the first time. We are learning, and we are going to be SO good at this." "Great job, programmer! You are awesome!" "Tell me again how you did that...amazing!" "I am looking at this Rover like it is a person. We gave it a brain...then, ears...then, eyes. And, it's connected together like our nervous system...but, with cords!" "I can wait. Keep working. You are doing a great job!" "If we work together, we can get this code done faster for the other team." And, my favorite..."Oh my gosh...we have so much power! We can have our Rover ATTACK Mr. Doughty!" Another group is going to set their Rover up for disco mode...move around at the recognition of sound and light. AWESOME! Think about the science, technology, engineering, and math that are going to go into the chocolate delivery. Measuring distance, rate. Designing the carrier for the chocolate and iPod. Programming a complex set of steps! Can they do it? I don't know...but, I'm so proud of them for imagining it, tackling it, and being such open hearted explorers. Truly...this is the science room. And, these are the scientists! ***These kits were funded through the NASA/Battelle grant that I was awarded at the beginning of this school year. Because that's what I do! I write nearly 5-7 grants a year. I might get 1-3...but, you never know unless you try! This year alone I have pulled over $2,500 into my room through grants. So, it's not easy...but it is WORTH it! Awesome project. Can't wait to see the student videos!